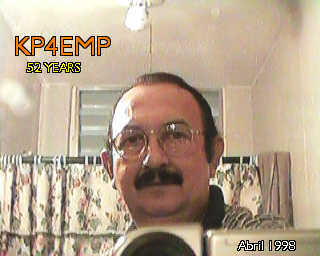 The Puerto Rico SSTV Net meets every morning from around 1030hrs UTC until 1200 UTC. There is a group of SSTV aficionados that have been meeting there for the past two years. The frequency is 3.920 on the 75 meter band. Everyone is welcome to join, we are there 7 days a week. We discuss the diferent programs that are available, technical matters such as interfaces and other techniques used to improve the quality of our transmission and reception. There are diferent opinions about software and hardware products wich makes it an interesting round table conversation. While the main language is spanish, most of us can switch to english and carry on any conversation. Of course the main thing , we send pictures! Please Join us! Personal view after trying several types of OP-AMPS 741 and others, I feel that regardless of it the home made or sold demodulators built using this base, can not possibly surpass the DSP quality that a good sound card can provide. The availability of a free com port is also a clear advantage. I personally like to make things as easy as possible, thus not having to turn a data switch makes it all that easier.